I introduced noodle soup with pork as the local food of Jeju. In this time, I will introduce the local food of “Busan” where many foreign tourists visit. Busan has many foods that is made of seafood. 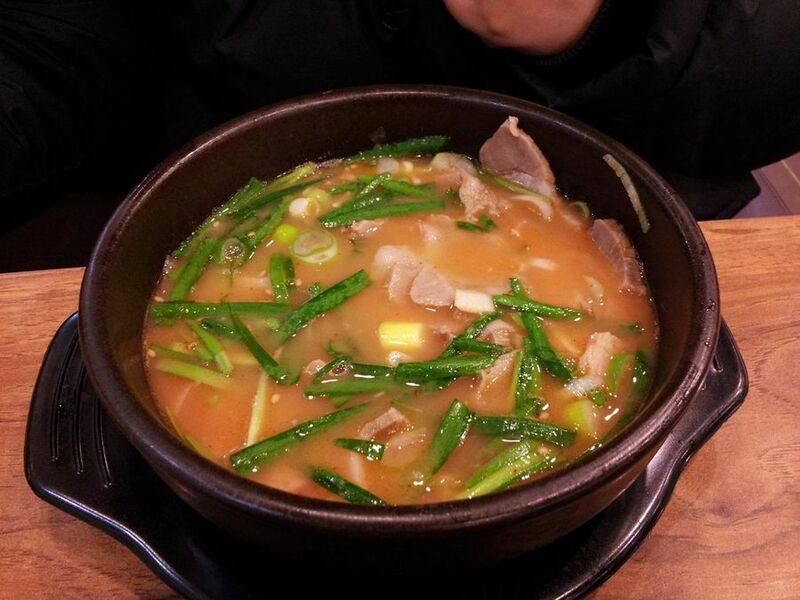 However, the local food of Busan is “Dwaeji-gukbap(Pork and Rice Soup)”. 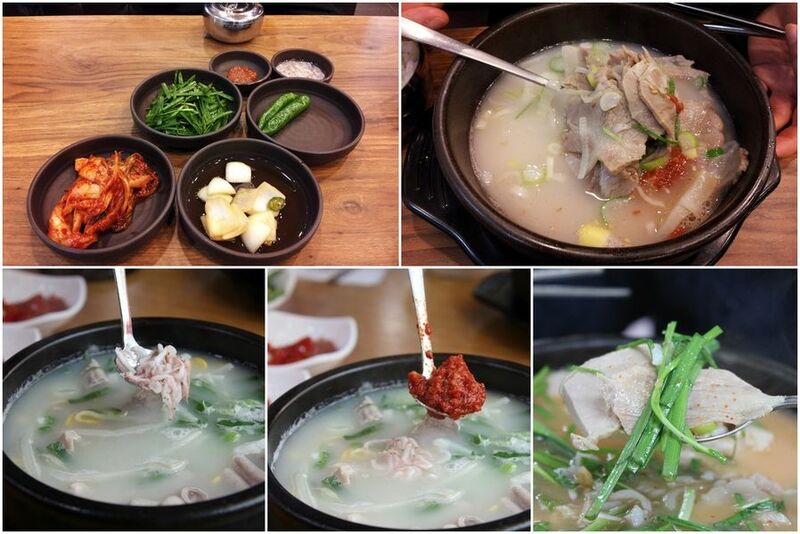 When you have Dwaeji-gukbap, you will have the broth made of pig bones and flesh, and rice together. Rice is used instead of noodles. Dwaeji-gukbap has some origins. Most people say the refugees around the country went to Busan, the southernmost region of Korea during Korean war in 1950s. They had little thing to eat. So people made Dwaeji-gukbap with pig bones dumped by the American army base. Other people say Busan is very close to Japan. Japanese Donkocheu ramen, which is made of pig bones, was introduced Busan. Since then, Korean people started to put rice instead of noodles. 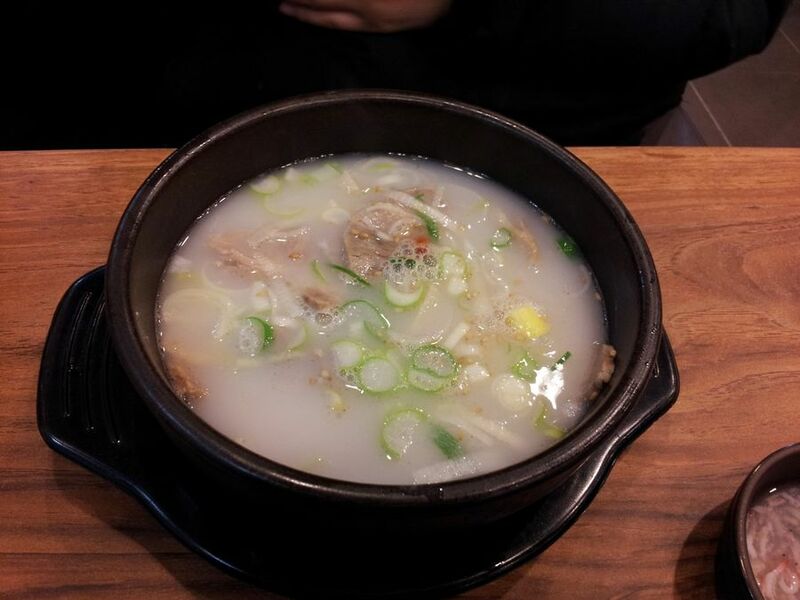 Anyways, Dwaeji-gukbap is popular food for common people in Busan. recommendable since it makes the soup be tasty. with the soup separately, or put it on the rice. you season the soup with salted shrimp. If you put hot red pepper sauce, you can enjoy the spicy Korean food. appetite, and drown the unpleasant smell of meat.